Part One of a discussion of the disruption of the global nitrogen cycle by an economic system that values profits more than life itself. The 1930s Dust Bowl presaged today’s global ecological crises. Hannah Holleman’s brilliant new book shows how and why capital destroys the soil that all life depends on. Virtually unknown in the west, the great Russian geologist and geochemist pioneered scientific study of life’s impact on the Earth. On every scale, from the smallest cells to the entire planet, the essential elements of life are constantly used and re-used. Biogeochemical cycles are the basis of the biosphere. 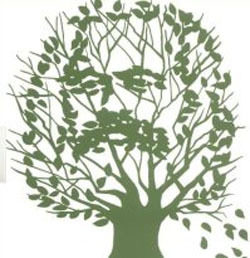 Marx saw the rift between people and nature not only as a primary failing of capitalism, but also as a mechanism through which capitalism may be superseded. Marx and Metabolism: Lost in translation? Why wasn’t Marx’s concept of metabolic rift recognized until recently? Changed circumstances, unpublished works, and bad translations all played a role. If you’ve ever wondered what a scientific representation of metabolic rift might look like, check out this graph. Metabolic Rifts Today. Beginning a new series by Ian Angus, on how contemporary science illuminates and extends metabolic rift theory in the 21st century.